On a cold and wet Friday evening on 22nd April, angry residents packed a Public Meeting staged by HACAN East in Leytonstone. The meeting heard from HACAN East chair John Stewart and from local MP John Cryer. Resident after resident told the meeting about how their quality of life has got a lot worse since the flight paths from City Airport were concentrated over them. 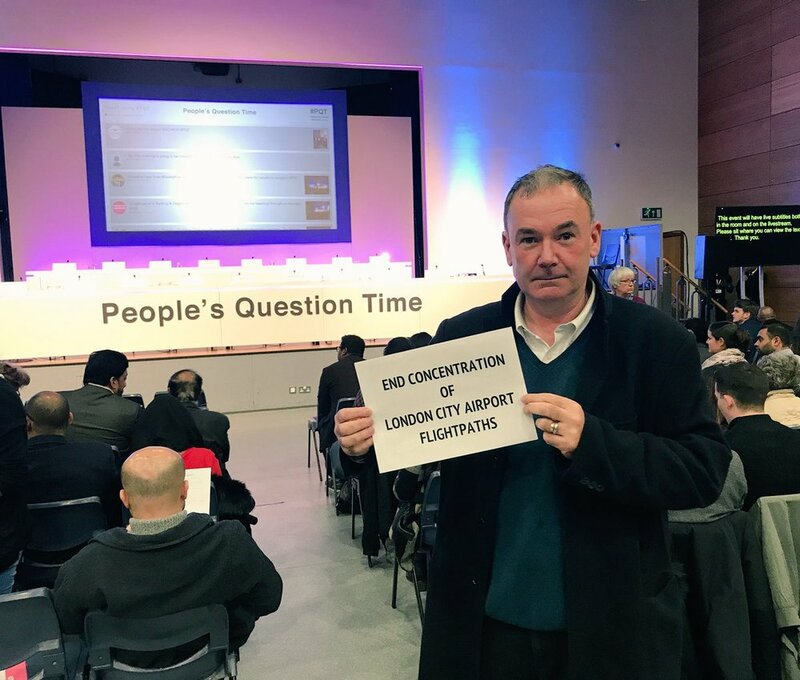 But both John Cryer and John Stewart felt that, as a result of the pressure that has been brought, both London City Airport and the Civil Aviation Authority (CAA) are becoming more response to residents. John Stewart is expected to be invited by the CAA to a meeting to talk about how local residents can become involved in the review of the concentrated flight paths which the CAA must conduct before February 2017. 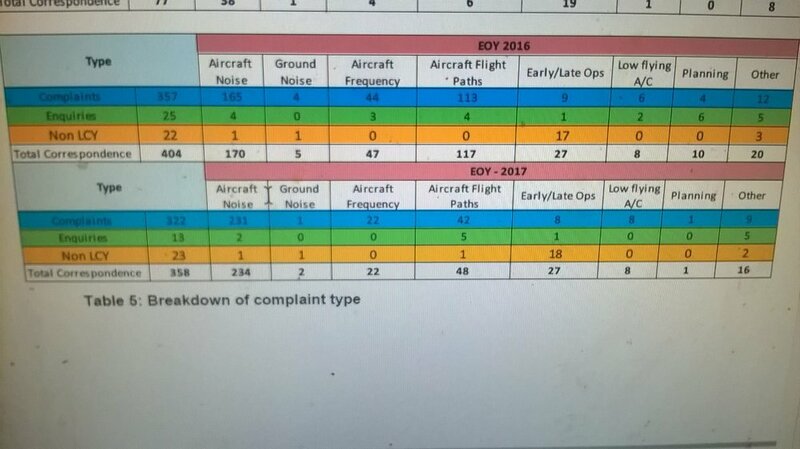 And it became clear at the recent Public Inquiry into City Airport's expansion plans that, in response to pressure from MPs, local councils and residents, Newham Council (the planning authority for the airport) looks like it will become more rigorous in ensuring that City Airport obeys the rules and regulations under which it is allowed to operate. Like the airliners that take off from its short runway, London City Airport (LCY) has been climbing steeply in recent years. But a combination of factors suggests the airport is running into turbulence. Its expansion plans have been blocked, its largest operator is threatening to reduce, or even withdraw, its services and a new flightpath plan is arousing the ire of nearby suburbs. Built on abandoned wharves in London’s old dock area east of the city center in the 1980s, the airport has benefited hugely from being adjacent to the new Docklands financial district, which has boomed over the same period. Financiers and executives are just a 15-minute taxi ride away from the compact terminal’s front door. And, in a throwback to the golden days of 1960s aviation, executives with only carry-on items can theoretically be walking across the apron to their flight just 15 minutes later. (If you need to check baggage, the airport recommends a 30-minute minimum.) It’s a very slick operation. The airport operates with a single runway – 27/09 – that is 4327ft (1319m) long by 100ft (30m) wide. This limits usage to regional jets and turboprops, which have to make a steep, 5.5⁰ approach from the west to clear the Docklands’ district’s high-rise buildings. Bombardier Q400s, Embraer E-Jets and Avro RJs are the usual inhabitants of the apron, soon to be joined by Sukhoi Superjets when Ireland’s CityJet starts to take delivery of 15 this spring. Destinations are primarily short-haul western European, although British Airways (BA) operates a twice-daily, all-business class Airbus A318 from LCY to New York JFK. A record 4.3 million passengers passed through LCY last year, a rise of 18% compared to 2014. But with success comes problems. The airport needs to expand. Soon. Under the City Airport Development Programme (CADP), LCY proposed extending the terminal and adding aircraft stands to provide much-needed additional capacity. It already had permission to increase the number of annual movements from the current 70,000-plus to 120,000 by 2023. In February 2015, the London Borough of Newham, within which LCY is located, approved the CADP. 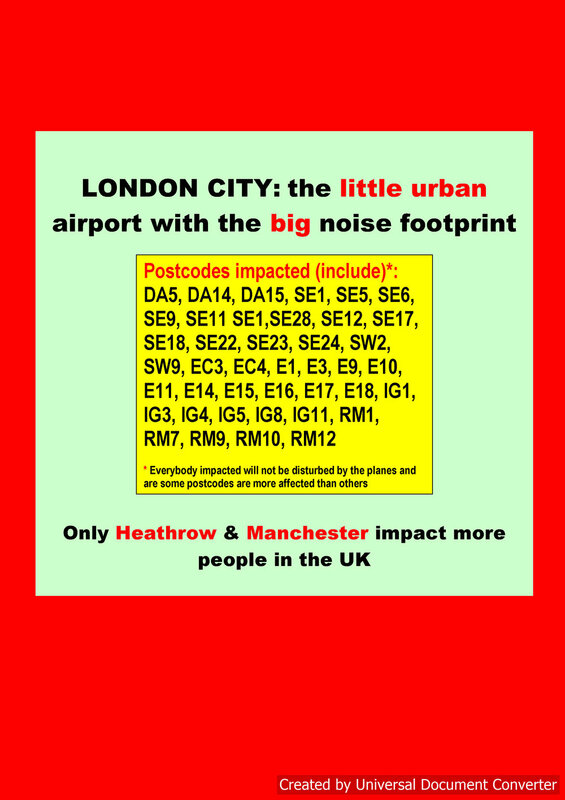 The following month, however, London mayor Boris Johnson, blocked the proposal on noise grounds. Johnson is a long-running opponent of airport developments near the capital. He has been vehemently opposed to plans to build a third runway at Heathrow, west of the city, instead touting his preferred option of a giant new airport built at a location on the Thames Estuary, well to the east of the capital. LCY is appealing against the mayor’s refusal and a public inquiry, chaired by a government planning inspector, is due to start in March. In the midst of this, LCY’s majority owners, US-based Global Infrastructure Partners, last summer put the airport up for sale for a reported £2 billion ($2.9 billion) price tag. This has alarmed LCY’s largest user, BA, which believes that a new owner will have to raise landing charges to recoup its investment. In a warning shot across the bows of any prospective buyer, BA’s parent company, International Airlines Group, said 3 February that it would pull some or all of its flights if charges rose. BA’s CityFlyer division operates 13 Embraer E190s and six E170s from LCY. BA mainline handles the LCY-JFK service. New owners might question whether BA would really pull the plug on an airport whose passengers include an unusually high proportion of last-minute bookers who pay top rate for the privilege. However, as trade unions have discovered to their cost in the past, bluffing in a poker game with IAG’s no-nonsense CEO Willie Walsh is a high-risk strategy. Meanwhile, unrest has also arisen from new, nationally-mandated area navigation (RNAV) regulations, which will have the effect of funnelling aircraft departing LCY into a tight corridor to improve efficiency. Anti-noise campaigners say this will create ‘noise ghettos’ for those underneath it. 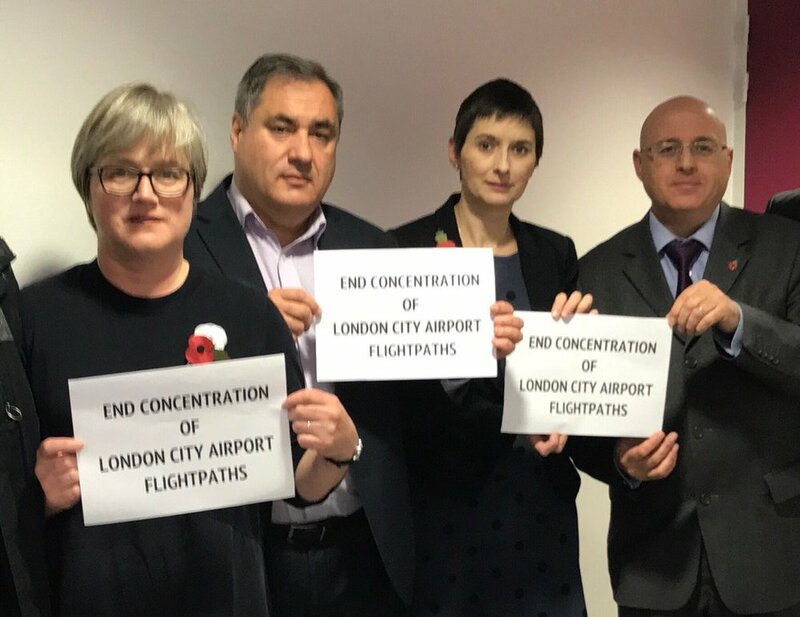 Ironically, complaints are coming not from the airport’s immediate surroundings, probably because some 85% of the airport’s 2000 employees come from Newham, one of London’s poorest boroughs. Instead, mutterings have arisen from suburbs a few miles from the airport, over which climbing aircraft will pass at an altitude of a few thousand feet. LCY can probably overcome this problem. Whether it can do the same with Mayor Johnson’s refusal to allow expansion lies in the hands of the government inspector.